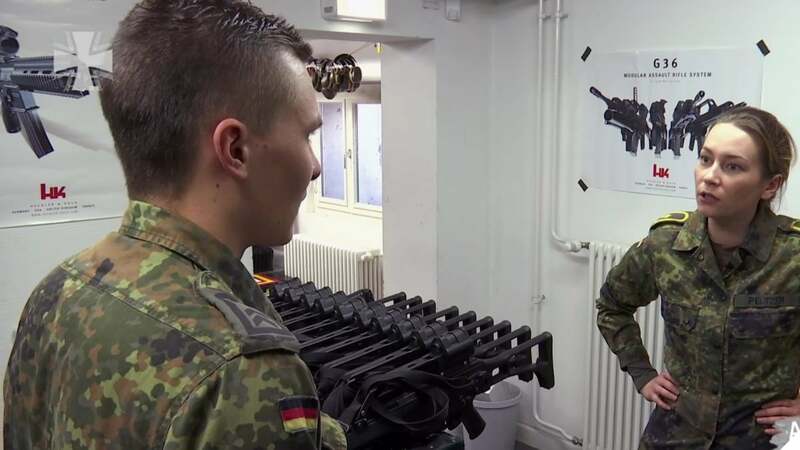 The German Army recently posted a video on life inside a Waffenkammer, a barracks armory chuck full of all the beautiful things Heckler & Koch. 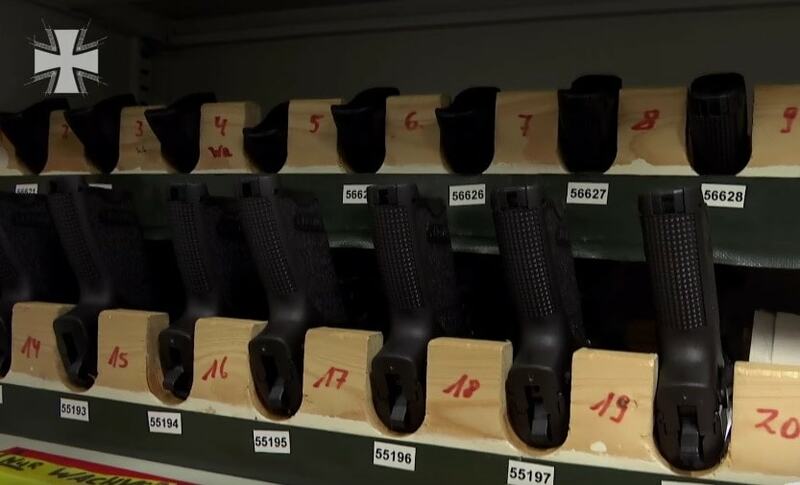 Sure, the 9-minute long installment in the service’s Auf Stube on Tour series is in German, but true and honest gun love knows no language barriers. As the show unwinds, Bundeswehr Sgt. Max Wegert shows off the armory’s contents to the host, Jule, which include racks of G36 rifles– the 5.56mm weapon that Heckler & Koch have been cranking out since 1997 to replace the G3 battle rifle. At about the 3-minute mark, Max breaks down the kraut space magic inside. In between, Herr Wegert just stunts, showing off cabinets of HK P8 9mm pistols. Of course, there are racks of Rheinmetall MG3s, the 7.62x51mm post-WWII upgrade of the famous 8mm MG42, just handing out, as a legendary GPMG does. Then comes an equipment draw which shows Max, faithful to the international armorer’s code of being as shamtastic as possible, hang back while the host grabs everything. The larder includes those neat little green plastic German cleaning kits, holsters, Steiner binos, and the like. All they are missing is the schnitzel. In short, if you are an HK fan or just dig military surplus, this is time well spent, no translation needed.